After reaching a league final two years ago followed by a Collingwood Cup semi-final last year much was expected of DCU’s senior soccer team in 2014/15, but it proved to be quite the opposite. A satisfactory league stage was undone by a disappointing defeat to Waterford IT in the quarter-finals while NUI Galway proved to be DCU’s Collingwood undoing yet again as they crashed out in their opening game. While the senior team will feel that they could have done more this year there was at least some silverware claimed by the freshers team when they won the Harding Plate for the third consecutive year. However, DCU Soccer Director Fran Butler feels that it could have been a better campaign for both sides. There’s no doubting how far the club has come over the last few years however with Declan Roche revolutionising the side since coming in in 2012. Butler recognises this and is very happy with the progress the club has made in terms of numbers and funding but he feels that they are now ready to take the step up to next stage. “Our goal now is to win a main tournament. We’ve come a long way from when if we got to a plate final in the Collingwood we’d be very happy with that. So what is the reason that DCU haven’t yet got across the line and won a major university soccer trophy? There is a wealth of talent in the college and has been for the last few years with the current crop of players including such League of Ireland players as Alan O’Sullivan, Robbie Gaul and Mark Walsh. With the number of soccer scholarships now 11, and rising, it’s surprising that the trophy cabinet remains sparsely populated. To paraphrase a certain Irish footballing legend Butler feels that it’s a failure to prepare properly that has led to the failure trophy-wise. With many of the college’s elite players playing for League of Ireland teams or local clubs, as well as academic responsibilities it was a rare occasion that the team could all train together this year. Naturally this makes it very difficult to work on the tactical side of things meaning that the players aren’t completely familiar with each other’s play. Such problems don’t pose themselves as much to teams such as UCD, UCC or NUI Galway as they all have teams that play in regular weekend leagues. Butler says that DCU aren’t looking to explore that avenue at senior level but there are new ideas in the pipeline – one of which is reducing the number of training sessions per week. “The general consensus between myself, the staff and Declan is that we’re close to making a breakthrough but we possibly haven’t demanded as much from the players as we could have. 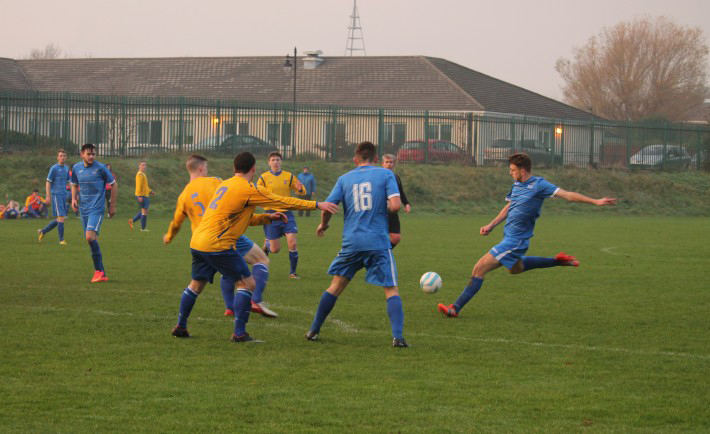 An idea that has been floated to improve team preparation and familiarity is that of setting up a team to play Saturday football in the Leinster Senior League. The team would be made up of freshers and would be quite beneficial, says Butler. A weekend team is a common idea in university football and has been very successful for UCD (the record Collingwood Cup winners), NUI Galway (this year’s hosts and last year’s finalists) and UCC (this year’s winners). As Butler is quick to point out, playing as many games as possible is key for any team and increasing that from six or seven before the Harding Cup to 12 or 13 would be hugely positive for the fresher side. One thing is for certain is that no one within the club will be happy until that final step is made and a trophy is brought back to Glasnevin.